UPDATE: Friend still needs help. Pool of all images containing my fursona Clement. Pool of all the images containing my mate! Art that has been given as a gift. 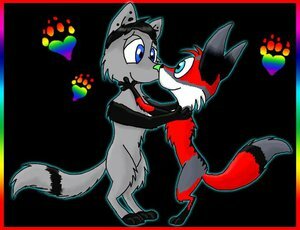 I'm ArgentFolfsky and you might know me as my fursona Clement the folfsky or my characters Wolfy the Wusky or Max the Folf. Most of the art I post is artwork I have commissioned from other artists. I may later start to draw more of my own artwork or maybe post stories from my RPs with permission from the person I'm RPing with of course! A good fur to chat with. Proud to be a Furry! *Lick on the Tail: Will you be my mate? *Lick on the Back: For fun! HOW THE CRAP DID I NOT HAVE YOU WATCHED THIS WHOLE TIME GIVEN WERE FRIENDS.....I DO NOT UNDERSTAND DIS.